Rose Caroline was born on a Wednesday at 5:55am. 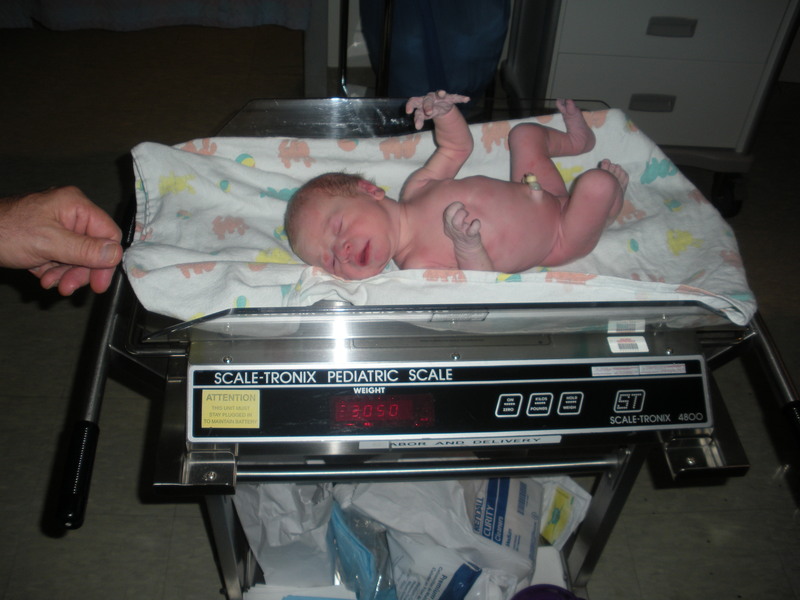 She was healthy and perfect weighing in at 6 lbs and 12 ozs, 19 inches in length. The story of her birth starts in the wee hours of Tuesday around 3 am with contractions initially about 20 minutes apart. Around 5 am I was unable to fall asleep in between them and realized they were only 8 minutes apart! This must be it! In our birthing classes I’d been instructed NOT to wake my husband as I would appreciate him being well rested later on in labor. So, against my first, second, and third instincts, I decided to head out into the living room and let my husband sleep. I turned on a movie and started looking online for a contraction counter. I was worried and scared. I lived in California with my husband and it was just us. My mother and sister were in New Jersey. My mother-in-law was in Connecticut. What was this going to feel like? Was I strong enough for this? Why did I live so far from people that could sooth? Hours broken into 5-7 minute intervals take a long time to tick by. Around 10 am my husband and I set out walking. This helped the contractions pick up and I had to stop walking through several of the contractions. We arrived at a neighborhood restaurant for lunch and the hostess asked “Three, today?” I had a moment of panic “Does he know I’m in labor? This is awkward? 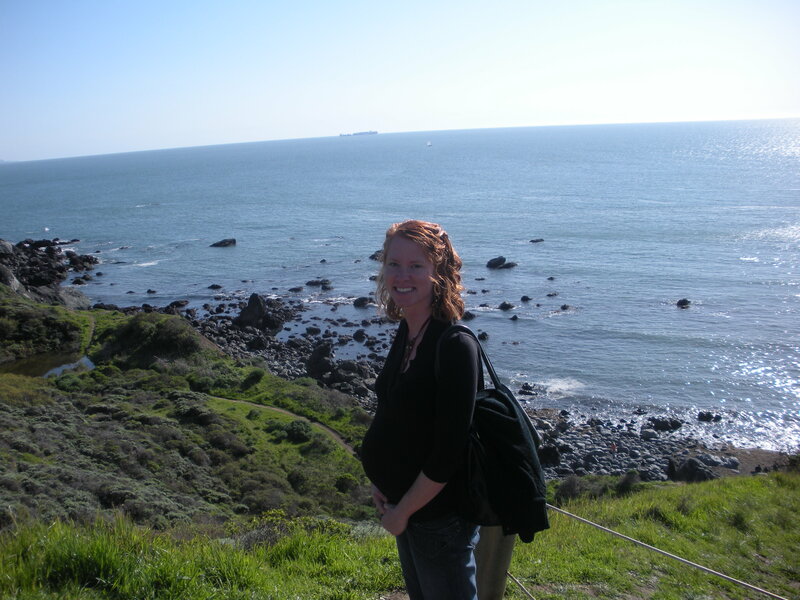 Should I be here?” But sitting calmed down the contractions and we had a nice lunch – just the two of us. We returned home to more and more waiting. Around dinner time the contractions were about 5 minutes apart and my stomach was too upset to eat. Around 7 pm they were 4 minutes apart and stopped me in my tracks. We decided to go into the hospital and our timing was perfect – we got the last open room! In the hospital I learned I was 4 cm dilated and the baby was doing great. This was happening. I felt validated and overwhelmed. There was a slight snag with unknown consequences. Our baby was presenting in the brow position. This is an uncommon position where the baby’s has his chin tilted up and head back instead of nicely tucked in. This leads to the greatest circumference of the head having to pass through the cervix and over half of babies presenting this way require a c-section. This news was hard. The baby could naturally change positions over the course of labor. It could be nothing. I could also be one of the women that was able to vaginally deliver a baby in this position. But there was now also a chance that I could go through all of labor, push for hours, and in the end require a c-section. We would have to just wait and see. I tried not to think about it. Over the course of the next couple hours the contractions doubled in severity but my exam revealed I had not dilated any further – I was still only 4 cm! If contractions were this intense at 4 cm how bad was this going to get? 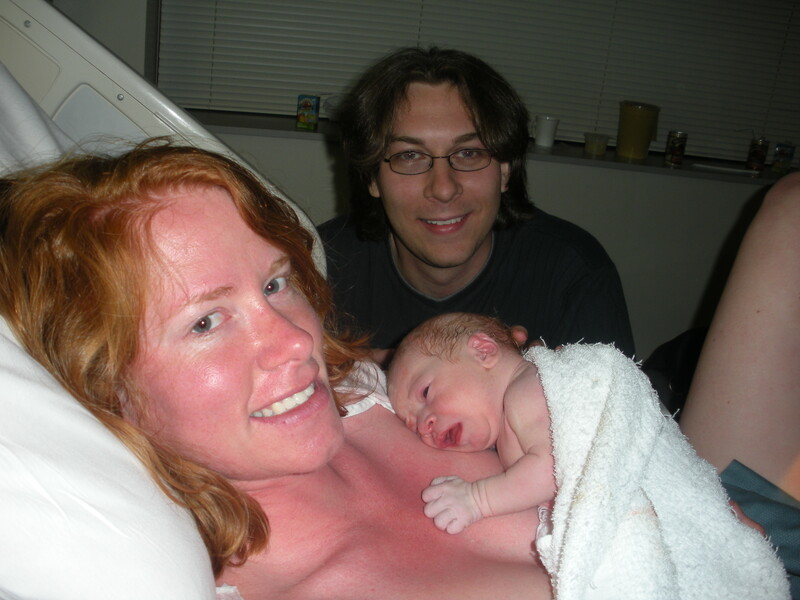 The next contraction convinced me I didn’t want to find out – Epidural please! It took almost an hour for the epidural to be inserted. I was freezing and shaking when I finally got it. Pitocin was started shortly after to maintain my contraction rate. The nurses turned out the lights and suggested we try to sleep. After a couple hours our baby’s heart rate started increasing when I laid on my left side so I was forced to lay on my right side and wear an oxygen mask. Since gravity affects the medication of the epidural my left side became “unmedicated” and the strong contractions were increasingly felt. Around 2am, Wednesday, I was feeling full contractions on my left side and was numb from my stomach to my ankle on my right side. I was contorting like a fish out of water and mentally cursing the breathing exercises I’d learned. Then I started vomiting. The highlight was around 9 cm of dilation when I had a massive contraction and vomited, looked up to my husband, wiped my mouth, and told him my water had broken. Around 5 am I was declared 10 cm dilated. We had made it. Ted and I got quite nervous. We were going to meet our baby soon! Somehow it felt so surreal. Even after hours of contractions I just couldn’t wrap my head around a baby I’d made being born. Because the baby had presented in the brow position a doctor was required for delivery in addition to the residents that usually deliver at the hospital. The doctor arrived at 5:30. I pushed for twenty minutes. The nurses said I had good form and each push made progress. All I remember was each time I lifted my head more and more people were in the room. Apparently news of this rare baby position had spread so curious nurses and doctors were letting themselves in then staying when they heard the baby was close to its first breath. As I pushed my husband went down to the business end to see the first glimpses of our baby’s head. A nurse placed a mirror for me to also see – though it kind of stressed me out. Finally a push left the baby in a position of crowning. The epidural turned out to be working perfectly in this area of my body because I couldn’t feel it. I rested up for a minute and was told to give it all I had. After a huge push Rose Caroline was born, filled her lungs, and tested her vocal cords. It was such a beautiful sound. The doctor raised a completely vulnerable new born. A sight I’d never seen. It’s skinny arms stretched out here and there in confusion. Scissors were passed to my husband for him to cut the umbilical cord. As he went in to make the cut Rose’s little hands made contact with the scissors and she gripped one of the shears. My husband, the doctor, and myself all jumped and the doctor very carefully pealed each of those tiny fingers off the blade of the scissor. The doctor had never seen that happen before. A moment later Rose was placed on my chest. I touched the heap of baby. I looked up to see my husband crying and I started to cry too. I worked up the courage to lift Rose and reposition her. She was alive. She was completely defenseless. I cradled her. After a bit of cuddling the nurses took her away to do measuring, shots, and cleaning. When they walked to the other side of the room with our baby my husband looked to me not knowing where to go. I encouraged him to follow Rose. One of us had to be with her. She was ours to protect.